3. Remotely control the generating set. In this configuration,the GSM Modem F3125 is connected to the generator either by ethernet port rj45,the network allows communication with an external GSM/GPRS network. 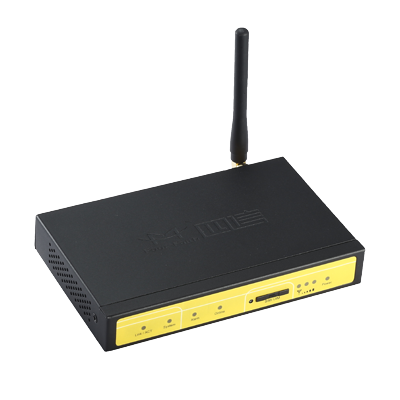 Once a fault or an alarm appears, the TELYS transmits a message including the serial number of the generating set and the relevent information to the gsm modem F3125 which is charged with sending one or more text message(s) via the gsm/gprs network. If the connection between a remote computer and the Telys connected to the modem is already established then the message will appear on the active web page. The alert will be sent after connection to be the website.